Arizona Immigrant and Refugees Services is a 501(c)(3) non-profit organization. The agency was founded in 1989 to provide social, economic and educational services to the inner city residents of Phoenix. In 2001, AIRS began resettling refugees. The Kakuma Youth or Lost Boys were among the first arrivals to the agency. From 2001 to present, AIRS has resettled 1910 refugees and immigrants in Maricopa County. AIRS programs provide recently arrived refugees and legal immigrants with housing, food, clothing, translation as needed, English language instruction, job training, employment assistance, immigration services, referrals and other services. AIRS is a subsidiary of ECDC. AIRS conducts activities with support from the United States Department of State through ECDC; the Office of Refugee Resettlement, United States Department of Health and Human Services; the Department of Economic Security of the State of Arizona, community groups and individuals. AIRS Programs are mostly funded by the federal government starting with the (Reception and Placement Program) funded by the PRM/ The Department of State, The (Matching Grant Program) funded by the Office of Refugee Resettlement (ORR), The (Preferred Community) funded by the Office of Refugee Resettlement (ORR), The (The Arizona Refugee Resettlement Program (RRP) ) funded by the Arizona Department of Economic Security. There are currently more than 17 million refugees in the world. 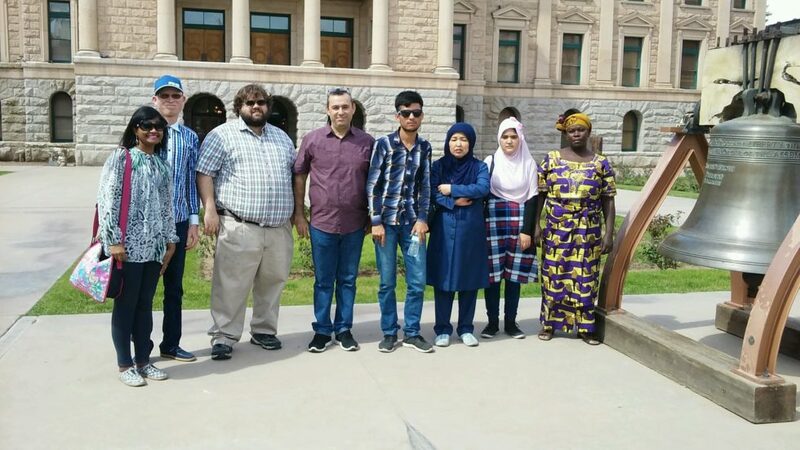 AIRS provides social and educational services to meet the needs of refugees and immigrants coming to Arizona by insuring a successful transition from arrival to self-sufficiency.